When I began advertising my blog week in California I was overwhelmed by the support from Californian bloggers who were more than happy to write guest posts to help us get the real feel of the place. The lovely Britta stepped forward to give us the low down on Los Angeles, so we know where the best places are to visit. Many of the places listed are linked to detailed websites, so please do check out the links. Number one tourist destination is Disneyland. It’s fun for big and small kids alike. Just skip the California Adventures Park as it is a rip-off of real California sights. Venice Beach is the second most visited destination for tourists. Go for an afternoon walk on the Boardwalk and have lunch. Otherwise get out of this area. It’s called Dogtown by the locals for a reason. The Los Angeles Conservancy offers the best walking tour of Downtown Los Angeles. There is a lot of information for DIY walking tours, but taking the wrong turn can land you in a very bad section of town. Be smart and take a guided tour to be able to fully enjoy your surroundings. Plan a day to explore both Hollywood and Beverly Hills. Visit Grauman’s Chinese Theater on Hollywood Boulevard, and find your favorite celebrity’s star. Walk Rodeo Drive and you just might see a celebrity breeze by you. Indulge with a lunch at Spago, but make sure to get a reservation ahead of time. One of the most interesting museums in L.A. is the La Brea Tar Pits. Take a drive on Pacific Coast Highway starting at Santa Monica and all the way up to Malibu. Hermosa Beach is where the locals hang out and is ranked on of the best in the world. After you soak up the sun, head to the bars and restaurants on the pier. Los Angeles is one of the biggest fashion capitals of the world. Rodeo Drive is fun to window shop, but to buy something, get out of there and head to these fun places. 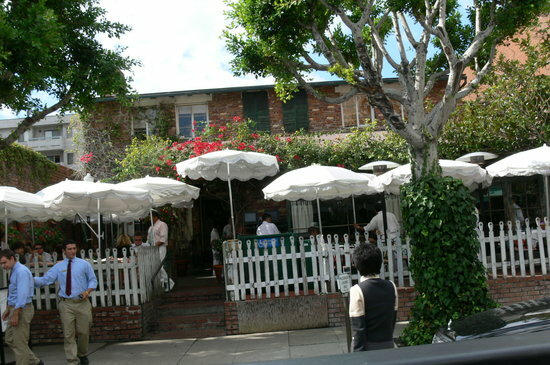 Manhattan Beach is a chic beach neighborhood that has an awesome location in the L.A. area. It’s near Los Angeles International Airport, an amazing stretch of beach, and the freeway to get to where you’re going. A great hotel is Aryes Hotel Manhattan Beach. Santa Monica is one the cutest neighborhoods in the L.A. area. Ocean View Hotel is moderately priced and has an excellent location. If you don’t like these hotel suggestions, just look in these neighborhoods to find something that suits you. For celebrity sighting go to Spago, The Ivy and Nobu. For everything else, rely on the experts at the Los Angeles Times. Los Angeles enjoys good weather year round. It’s not when to go that should be asked, but when not to go. The worst time is August as it is the hottest time of the year and the city smog is at its worst. A rental car is a must in Los Angeles as there is no real public transportation. Pay up for the extra car insurance as people in L.A. cannot drive properly for some mysterious reason. Also, because some neighborhoods are truly dangerous, get a navigation system with your rental to make sure you don’t accidently find yourself in the wrong part of town. Thank you Britta! What an amazing post! I will make sure I visit each and everyone of these places while I am in California! Fab post. I have to disagree re Venice though - we'd been warned about it beforehand, but we loved it. Never felt dodgy there, even at night. Wish we'd had time to drive to Malibu though. I wanna go! I want to see these places for myself now. I'm glad you posted this! I am moving to LA this September and while I have visited many times I haven't done many of the "tourist-y" things. I won't be starting work for a couple of months so I am excited to play! Ooooh I am so envious! I wish I was moving there! Good luck!